That’s something to see. Sure, you could take a picture to remember it, but what if you could use 3D printing to capture the moment in new and exciting ways? What if you could create a whole new experience? 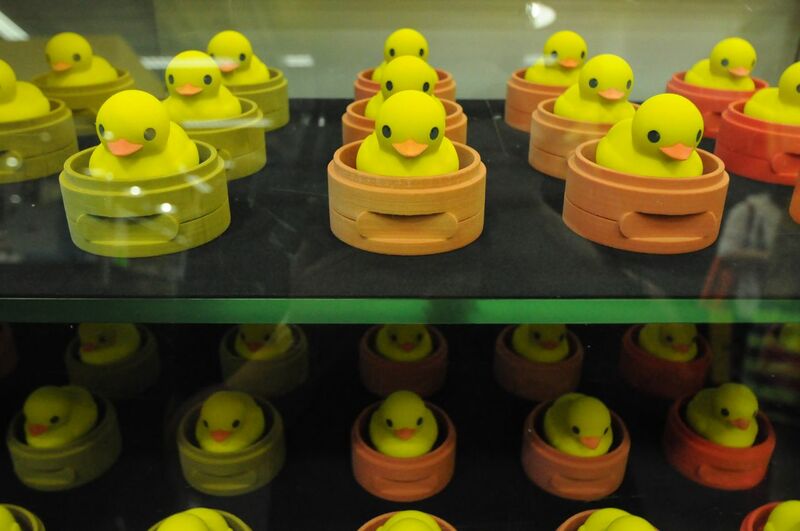 In June 3D Systems partnered with Toys “R” Us (Asia) to test 3D printing live in a retail environment in front of duck fans old and young at an event called the Bye-Bye Duck 3D Party. This was 3D printing in the wild. Three-hundred Toys “R” Us customers were selected to receive a commemorative 3D printed duck, which included a customized name plate that was printed right in front of them on one of 10 Cube 3D printers. The four-day event also featured 3D printing demonstrations and a host of 3D-printed products. 3D Systems Chief Strategy Officer Ping Fu was there as an organizer, and she shares some of her perspectives in a recent blog for Make: magazine.